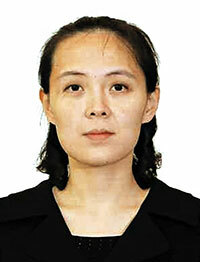 North Korean leader Kim Jong-un's sister Yo-jong seems to have been appointed to a post overseeing state security. That was the position held by Kim's uncle and one-time eminence grise Jang Song-taek, who was executed in 2013. In December, Kim Yo-jong was spotted at a Workers Party congress sitting next to her brother's right-hand man Choe Ryong-hae, suggesting she had been promoted to the party's inner sanctum. A government source here said, "Judging by her seat, there is a possibility that she has been promoted." The position would put her in charge of the State Security Department overseeing police and prosecution. The department was put under party control following Jang's execution. 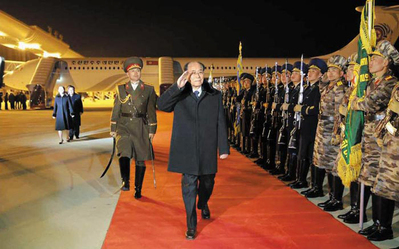 "Choe Ryong-hae was appointed as director of the organization and guidance department of the Workers Party in January of last year and the administrative branch in charge of state security was revived and established as an independent entity," according to an informed source. Kim Yo-jong may have been appointed to her new position to keep Choe in check.